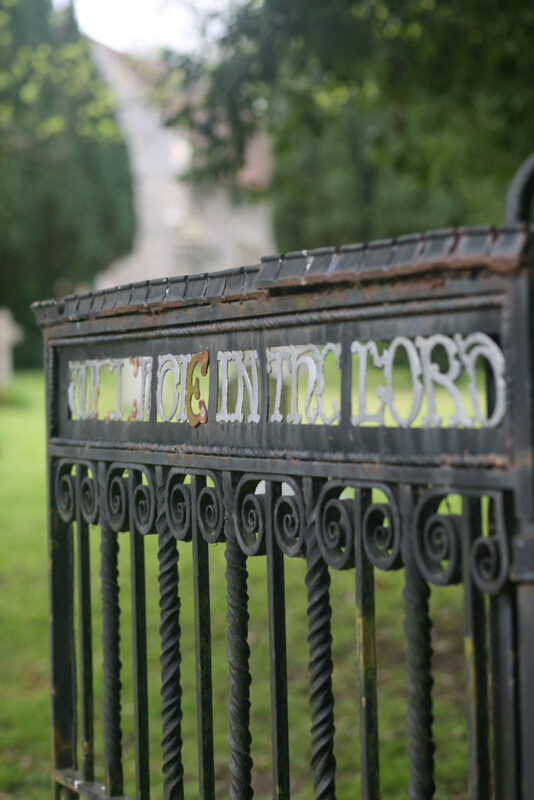 The small town of Bishop’s Waltham was probably settled by the Saxons as early as 500 AD. The name Waltham means “Settlement (Ham) in the Forest (Walt)”, while “Bishop” in its title reminds us that from 904 to 1869, with interruptions at the Reformation and during the Commonwealth, the manor belonged to the Bishop of Winchester. By 700 A.D. there was a Saxon minster/mother church here, a centre from which priests went out to preach and baptise in the surrounding countryside where, as yet, there were no parishes and no church buildings. This original church was possibly sited close to the palace. The only artefacts from this time are part of a preaching cross now to be seen in Winchester City Museum, and the ancient font in use at St Peter's. The town of Waltham was burnt by the Danes in 1001. At the time of Domesday in 1086, the priest was Radul. 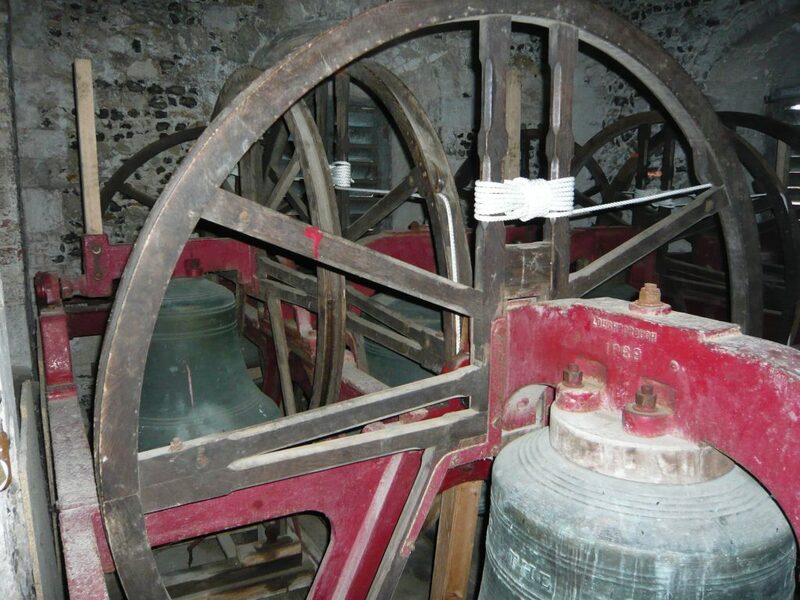 In 1136, Henry of Blois started building a much larger church on the present site, and away from the palace and pond. He was a grandson of William the Conqueror and brother of King Stephen. He was appointed Bishop of Winchester in 1129, a post he held until 1171. Bishop Henry was a man of great wealth and culture, interested in art and architecture. 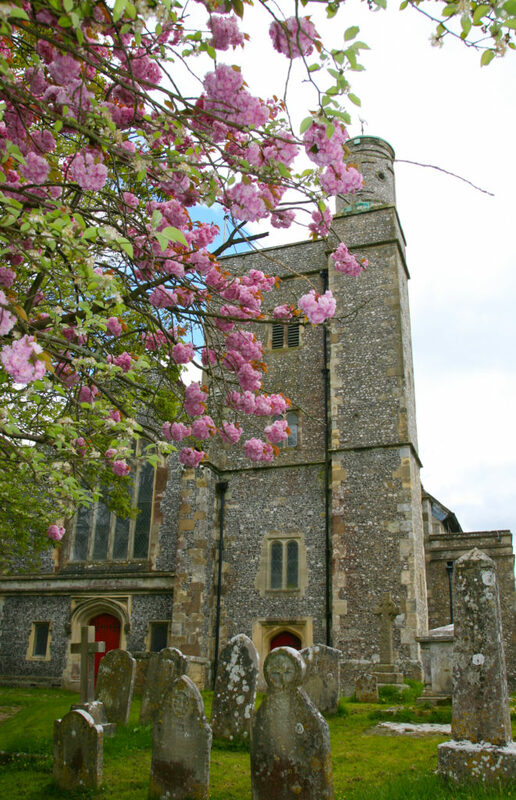 His many building projects included Farnham and Wolvesey Castles, and the rebuilding of West Meon church. In 1135 he founded the magnificent Hospital of St. Cross. He endowed it, giving his Hospital the right to appoint the rectors of Bishop’s Waltham. This later reverted to the Bishop. Henry of Blois also founded the Palace at Bishop’s Waltham. In the middle ages, the palace was one of the favourite residences of bishops such as William of Wykeham, who probably built the chancel of St.Peter’s, and Cardinal Henry Beaufort, and it was often visited by royalty. Scarcely anything remains of the twelfth century church, apart from some fragments of the south arcade capitals found in 1897, and now on display beneath the pulpit. The earliest dates from about 1200 when Godfrey de Lucy was Bishop (1189-1204). Like all medieval churches, St. Peter’s has been rebuilt, enlarged and restored in succeeding centuries to counter the ravages of time and to meet the changing needs of the generations. St. Peter’s is unusual in having extensive alterations dating from the late sixteenth and mid-seventeenth centuries. The beautiful carved pulpit, believed to have been designed and manufactured in Venice, was presented to the then Rector, Dr. Robert Ward by Bishop Lancelot Andrewes in 1626, the year he died. Dr. Ward had been Andrewes’ tutor at Cambridge, as well as serving with him as one of translators of the King James’ Version of the Bible. In 1797 a gallery was built over the south aisle and this included the insertion of dormer windows to provide light. By 1822 the gallery was in danger of collapse and had to be supported with stone pillars. The church is more typical in having several nineteenth century restorations. In 1848 the west wall was in danger of collapse and had to be rebuilt. Twenty years later the dormer windows in the south aisle were replaced with windows “of a more ecclesiastical character”. The positions of the three windows can be seen marked by stone of a different colour immediately beneath the gutter line. At the same time as this work was carried out, the nave and aisles were re-seated, the floors paved and the ceilings removed to reveal the beams. The restoration of 1894-97 was even more thorough and substantially created the church as we know it today. The south aisle gallery was dismantled together with the windows, and the aisle rebuilt. The north aisle arcade was also renewed. The organ, which had stood halfway down the north aisle, was moved to the east end of the south aisle. 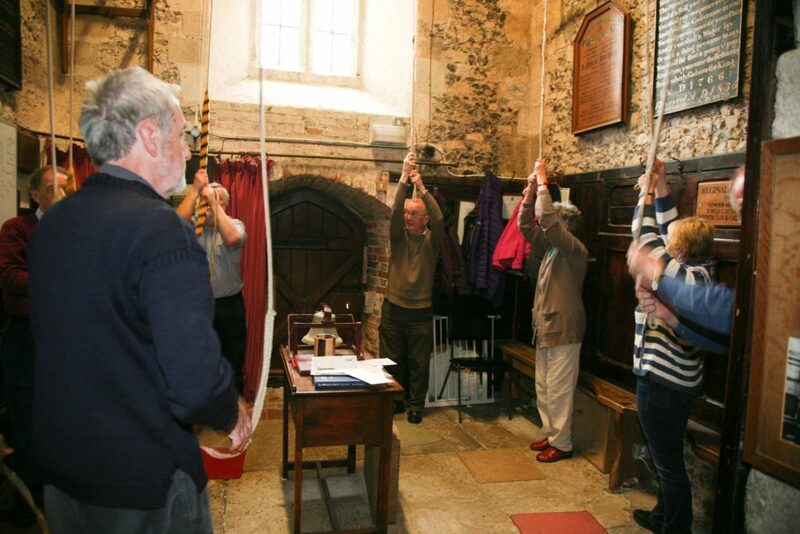 The choir, which had occupied pews in the centre of the north side of the nave, was moved to new oak pews in the chancel and the tester was returned to its place over the pulpit. There are several armorial bearings located about the church, the largest and oldest being those of King Charles II, displayed as a reminder that the monarch is temporal head of the Church of England. A second coat of arms and rebus on the west wall alongside the staircase to the upper gallery is in the form of a bas relief, and shows the arms of Thomas Langton, Bishop of Winchester from 1493 to 1501. It is surmounted by three small cannonballs found in the grounds of the Bishop’s Palace after its destruction during the Civil War. The most complex hatchment is on the south wall, and is that of Frances, Countess of Huntingdon, who died on 31st March 1820. She was the wife of Hans Hastings, 12th Earl of Huntingdon. The western end of the north aisle is known as the Admirals’ Corner. One of the admirals commemorated is Admiral of the Fleet, Lord Cunningham of Hyndhope. He was First Sea Lord and lived at Palace House from 1936 until his death in 1963. High on the north wall is a memorial to Thomas Ashton (d. 1629). His bust wearing a ruff is in a surround with Tuscan columns. The memorial is believed to have come from the Ashton Chapel. The east end of the north wall commemorates five generations of the Gunner family. William Gunner was one of the founders of the last private country bank in England. 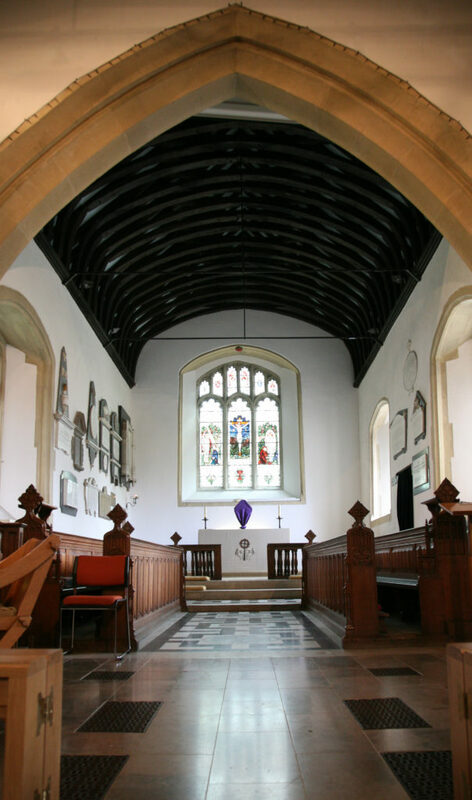 Members of the Gunner family contributed substantially to the renovation of the chancel in memory of Charles James Gunner, and dedicated the east window to George Herbert Gunner.